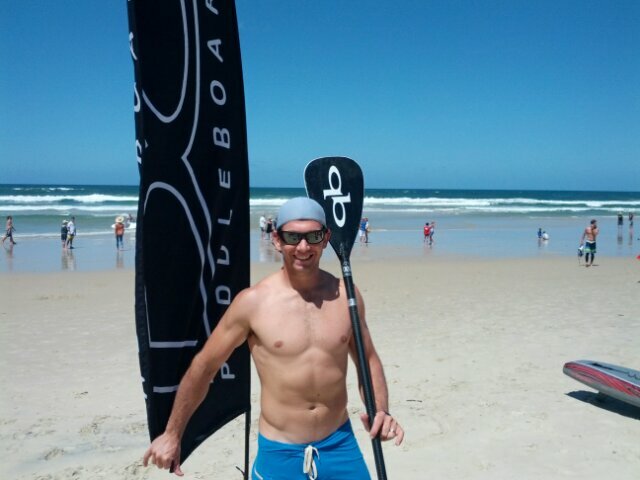 The Gold Coast, Australia has probably produced more elite paddlers than any other spot in the world. Just some of the names that call the Coast home include Jamie Mitchell, Travis Grant, Kelly Margetts, Jake Jensen, Paul Jackson, Beau O’Brian… You get the point. It’s got a lot of SUP talent. So when a race is held on the Gold Coast, it instantly comes with an international standard of competition. 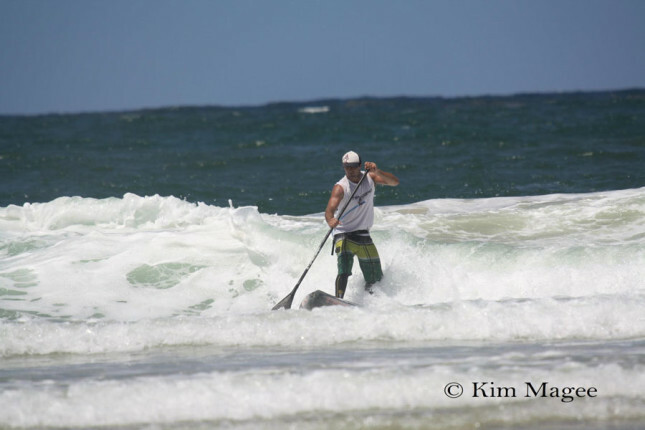 Today it was the 2nd annual 12 Towers Ocean SUP Race, which went from the world famous Kirra Point to Burleigh Heads. The local guns were joined by plenty of other elite paddlers from around Australia to produce an awesome event. 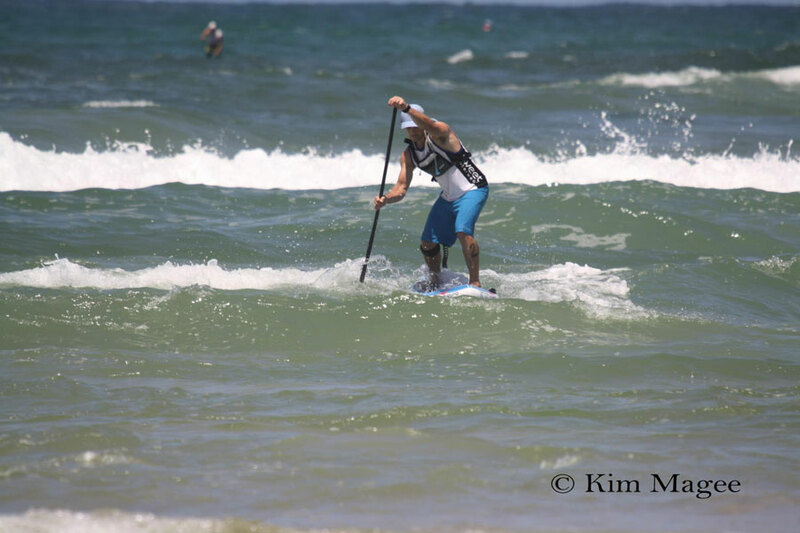 More than 80 paddlers started the 12km ocean course but it was Travis Grant who took the win in the men’s race, two and a half minutes ahead of Beau O’Brian, matching the result from The Doctor last month. Meanwhile former Ironwoman champ Karla Gilbert claimed the women’s race, narrowly edging out Angie Jackson. While the 12 Towers was billed as a downwinder, someone clearly forgot to tell the weather gods. 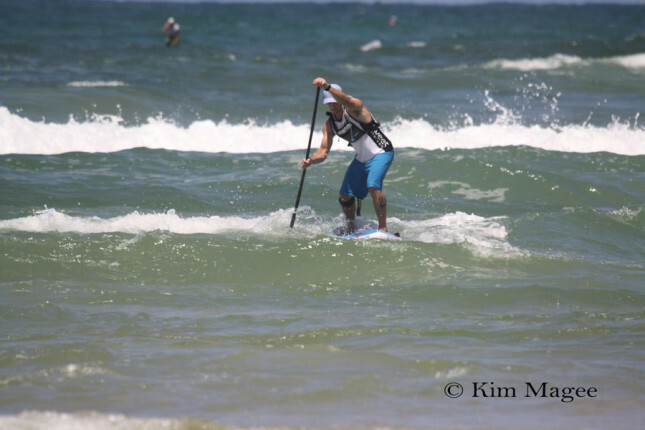 Paddlers were met with a light sidewind and plenty of bumps going in all directions. It wasn’t as bad as we first feared though, with plenty of runners if you wanted to work hard for them. The conditions made it more of a challenge but also more of a reward just to get to the end. It’s also great to see almost 100 paddlers on the start line, which makes this one of the biggest SUP races ever held in Australia. Check out the full results below and take a look at some photos of the action thanks to Kim Magee.